LA JOLLA–What if you found out that pieces of your front door were occasionally flying off the door frame to carry out chores around the house? 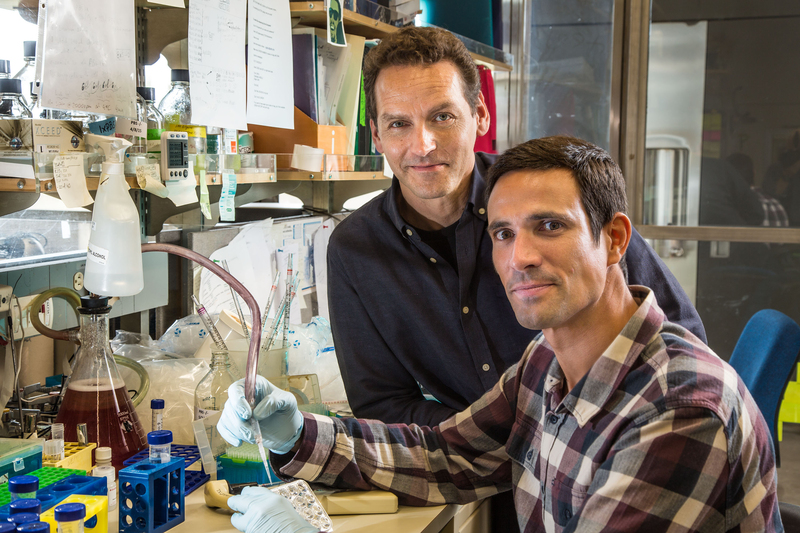 That’s the kind of surprise scientists at the Salk Institute experienced with their recent discovery that nucleoporins–proteins that act as cellular “doorways” to help manage what goes in and out of a cell’s nucleus–are actually much bigger players in expressing genes than previously thought. The finding, published June 16, 2015 in the journal Genes & Development, shows that nucleoporins play an important role in maintaining embryonic stem cells before they begin to develop into specific tissues. This discovery gives a new understanding to genetic diseases that are caused by mutations in these proteins. One nucleoporin protein in particular has a dramatic–and unanticipated–function in the formation of neurons from stem cells. Scientists discovered that a protein called Nup153 (green) control how embryonic stem cells (blue) develop. When Salk scientists deleted Nup153 (left), the cells were free to rapidly begin to turn into the precursors of neurons (marked in red), suggesting a previously unknown role for Nup153. 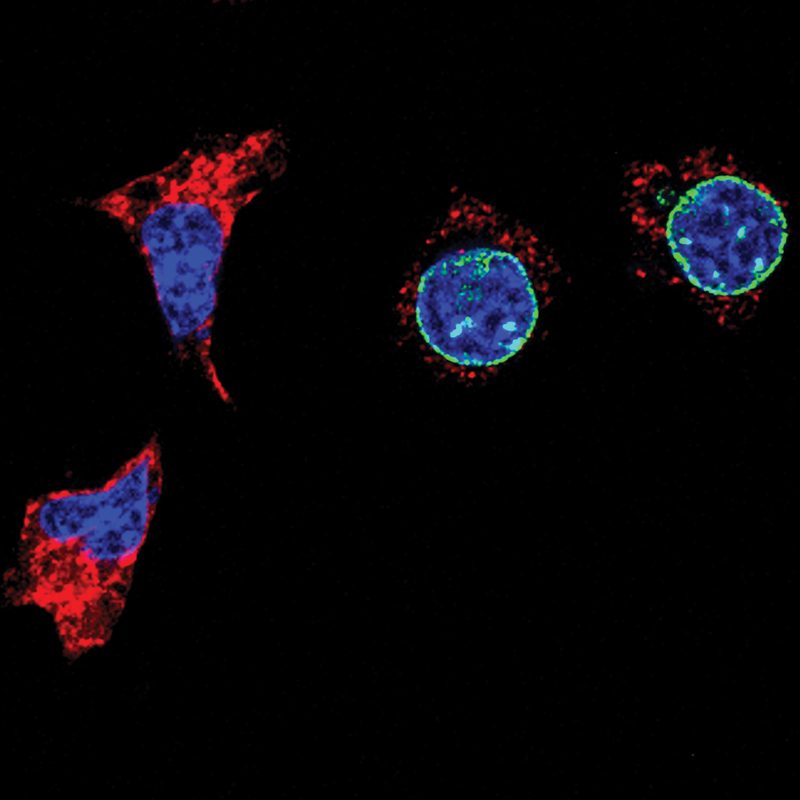 Nucleoporins–of which there are about 30 versions–are typically part of nuclear pore complexes, giant structures that connect the inside of a cell’s nucleus to the outer cytoplasm. In 2010, Hetzer’s team first uncovered hints that nucleoporins may also have a role in regulating the timing of when genes inside the nucleus are transcribed into proteins during a cell’s development. But exactly what that role might be was unclear. In the new work, Hetzer and his colleagues focused on one particular nucleoporin called Nup153, which is known to rapidly move on and off of the nuclear pore complex, suggesting it might be doing something other than providing structural support to the pore. The researchers turned to mouse embryonic stem cells–cells that have the potential to differentiate into any cell type in the body–and deleted Nup153. They expected that if Nup153 played a key role in cell differentiation, then removing it from stem cells would stop them from differentiating. Instead, the opposite happened. Nup153, researchers discovered, put the brakes on certain genes that need to be turned on for stem cells to turn into brain cells. When the brakes are lifted, the stem cells start differentiating. 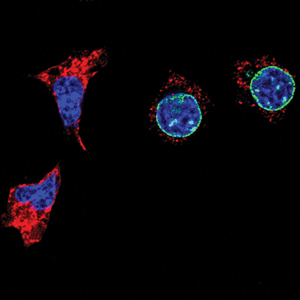 “This study not only revealed a critical function for nucleoporins in mediating the undifferentiated state of embryonic stem cells by silencing neural genes, but also introduced new mechanistic directions for elucidating the role of these proteins during mammalian development,” says Filipe Jacinto, a postdoctoral researcher in Hetzer’s lab and first author of the paper. Hetzer suspects that other nucleoporins also have roles in gene expression control, but cautions that the roles could be very different–each nucleoporin, he says, likely targets a different set of genes, and some might activate the genes rather than repress them. His lab is planning to follow up with studies on Nup153, and exactly how it’s recruited to genes, as well as investigating the developmental roles of other nucleoporins. Chris Benner, director of the Integrative Genomics and Bioinformatics Core at the Salk Institute, also contributed to the work. 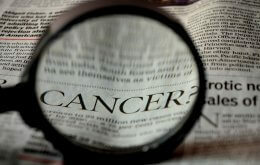 The work and the researchers involved were supported by grants from the National Institutes of Health and the National Cancer Institute.